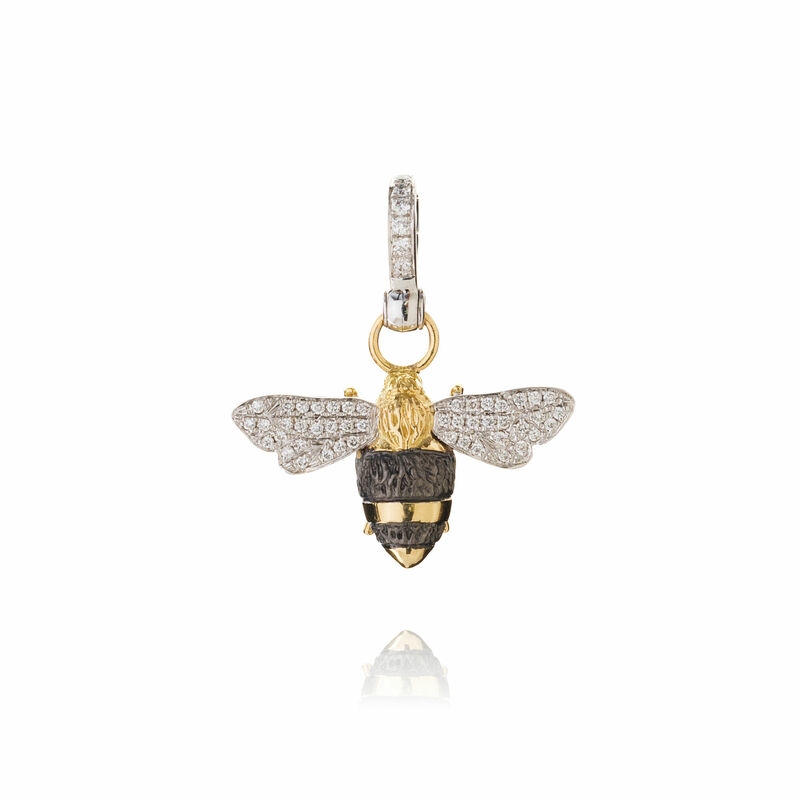 This charming bee pendant is made in 18ct white and yellow gold and is hand set with 0.19 ct sparkling diamonds. Designed with a black rhodium finish striped body and diamond set wings, this pendant is set with an easy to use bail clasp that can be attached to a number of our chains. As seen pictured on our popular Mythology Charm Necklace. Inspired by a traditional Russian fairytale in which a prince is disguised as a bee in order to see his father the Tsar, this incredibly detailed honey bee pendant is a miniature work of art, representative of love and loyalty.